Superdry women’s Antonia mesh dress. 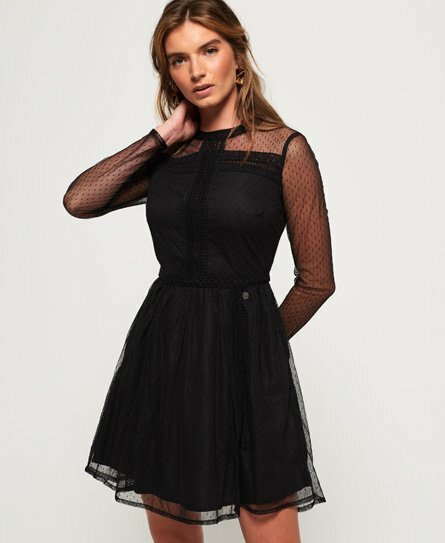 A girl can never have too many dresses, and the Antonia mesh dress is perfect for any occasion. Pair with a denim jacket and trainers in the day, or glam it up for the evening with a leather jacket and boots. The dress features long sleeves, a button and zip fastening on the back and crochet detailing down the front and around the waist. The Antonia mesh dress is finished with a Superdry logo badge below the waist.